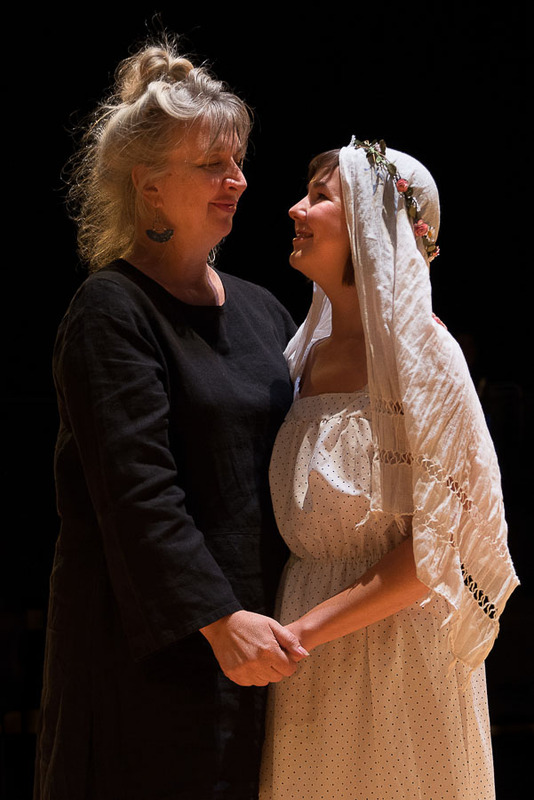 A stirring story about a family ripped apart by idealism, The Theatre Centre‘s latest play, Bloody Family, explores the painful loss of a child, a mother’s enduring love, and a son’s unrelenting pursuit for justice through its radical adaptation of the Greek tragedy, The Oresteia. Premiered last night to a full house, Bloody Family stars Philip Mckee and Tanja Jacobs, who are also the show creators. 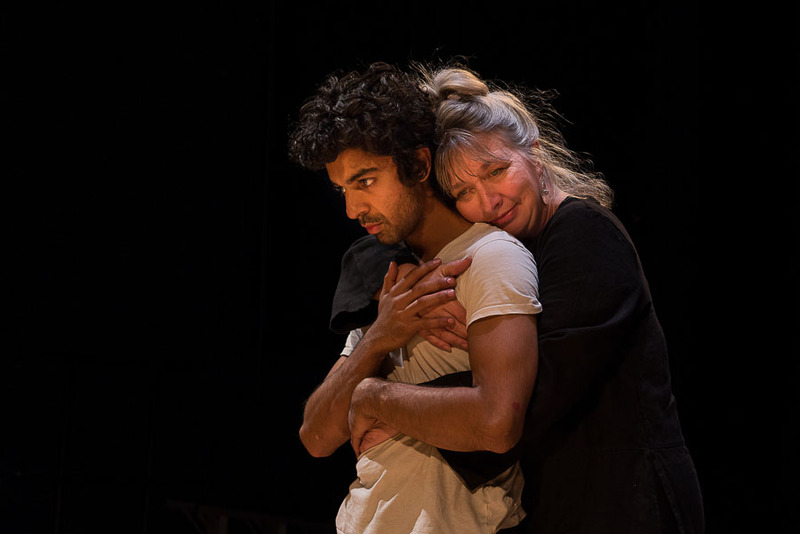 The play tells a personal and volatile story that contrasts compassion with necessity. The ancient Greek trilogy, The Oresteia, recounts the tale of the Greek General Agamemnon, who sacrifices his daughter, Iphigenia, to the gods to win the Trojan war. Iphigenia’s mother, Clytemnestra kills her husband to avenge her daughter’s death. Clytemnestra’s son, Orestes subsequently kills his mother to avenge the death of his father. When there are no more avengers left, Orestes is tortured to death by The Furies. A father kills his daughter for honour, a wife kills her husband for revenge, and a son kills his mother for justice – Bloody Family took the basis of the kin blood narrative and spun it into a refreshing contemporary perspective of honour and forgiveness. Set in modern times, the play toys with the old and the new, referencing ancient Greek traditions and mythologies while keeping our current culture in check. Initially inspired by the events of 9-11, Jacobs and McKee wanted to explore the pomp and circumstance of war, and the parallel between seeking honourable beliefs through dishonourable actions. The play is structured in a way where it exemplifies a tongue and cheek view at the pursuit of the same ideals within the theatre world. The unique stage design was also a highlight of the evening, as the audience sat in a court-seating arrangement, intimately enclosing the stage while giving everyone a 360-degree view of the cast. Perhaps the most riveting performance of the evening went to Ishan Davé, whose fiery portrayal of the bitter and vengeful son ignited the audience. The story that examines the birth and failure of justice also reminds us that death and evil are an inescapable part of society. Bloody Family runs from September 26th to Oct 5th, 2014. Address: 1115 Queen St. W.